Welcome back to Galway Chamber’s Business of the Week series. This week, we spoke to Karen Golden, CEO of Galway Simon Community as they celebrate 40 years. I grew up in Galway in the seventies and eighties. Having volunteered with Galway Simon from 2004 to 2011, I returned to the organisation in early 2018 to take up the role of CEO. Tell us about Galway Simon Community. Galway Simon Community is a local homeless charity who provide support and accommodation services to people at risk of, or experiencing, homelessness. The homeless charity was established in 1979 by a group of NUIG students who refused to accept homelessness on the streets. Since then, with the help of its staff, volunteers and supporters, the charity has grown to become one of leading providers of homeless services and homelessness prevention services in the region. At Galway Simon Community, we support a person’s right to security, dignity and wellbeing in their own home. We are relentlessly committed to finding answers to the questions faced by real people at risk of, or experiencing, homelessness. It is our belief that early intervention is the most effective means of reducing the trauma and cost associated with homelessness. What is the best thing about working in your industry? The work that we do in preventing homelessness, rebuilding people’s lives and restoring dignity can be extremely challenging, but also very rewarding. The pride, strength and extraordinary commitment of our team – staff, volunteers and supporters – underpins all we do. How can local businesses help Galway Simon Community? The housing and homelessness crisis in Galway is now worse than at any time in the forty years since Galway Simon Community was founded. We know that to make sure Galway does not see another 40 years of this crisis, we will be relying on our partnerships with the local community and with local businesses. Whether your business is small or large, everyone can make a difference. From once off fundraising initiatives to year-long charity partnerships, we work closely with local business leaders to choose a level of involvement that’s right for their business, that will have a meaningful impact for those experiencing homelessness and that is engaging for staff. Are there any events/initiatives coming up that people can get involved in? Galway Simon Community is marking its 40 year anniversary with the launch of our Journey Home campaign. We are calling on people in the local community to take action against homelessness now, through campaigning or fundraising, to help someone on their Journey Home. Hundreds of people in the West of Ireland are experiencing the trauma of homelessness on a daily basis; men, women, families, young people and children who have had to put their lives on hold while they face every day without a home to call their own. Whether it’s a small fundraiser such as a coffee morning or bake sale, taking part in one of our scheduled events such as Dip at Dawn or Sleep Out for Simon, or getting your employees involved in volunteering through skills sharing, your business can make a real difference. If you would like to get your business involved with fundraising or volunteering, contact Deirdre by email , or contact 091 381828. What are the major challenges currently being faced in your industry? Unfortunately due to the crisis that we find ourselves in, we are seeing more and more people becoming homeless. As a result, we are seeing sustained demand on our services. We continue to concentrate on prevention services which help prevent people from sliding into emergency accommodation. We also accommodate around one hundred people in our services on any given night. The most significant challenge of dealing with the demand in our local community is the strain on our services and the stretched resources. Is there one piece of advice you would give to someone just starting out within your sector? Working in the social care sector can be very demanding. Almost every day we meet obstacles that we must deal with in order to support those who need our help. However, it is extremely rewarding being there as someone makes the journey into their own home, leaving homelessness behind them for good. 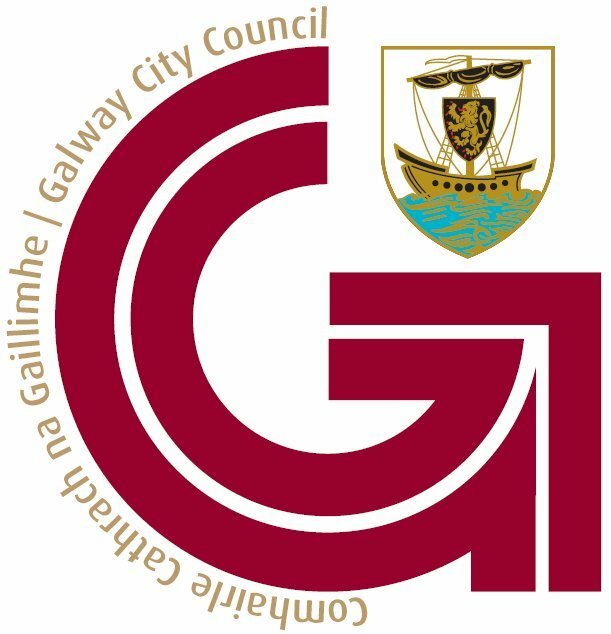 The elections for Galway City Council take place on 24 May next. Galway Chamber will represent your views to all election candidates in our manifesto which we’ll publish on Thursday 25 April at our AGM. We’d like your views on a number of topics and we’d appreciate if you would take three minutes to complete the below survey and our regular business barometer. The closing date for the survey is Tuesday next 23 April so please complete this as soon as possible and make your voice count at local election time. Attended by over 180 people in NUI Galway at the end of March, the conference was addressed by Minister for Housing, Planning and Local Government Eoghan Murphy. Welcome back to Galway Chamber’s Business of the Week series. Today, GoBus.ie launched their new Ballina – Galway City Service. The award winning National transport and coach company GoBus.ie, celebrating 10 years in business, announces over €1m investment and 10 brand new jobs for the West as it expands its services and launches its first ever Regional Connect Route between Ballina, Co Mayo and Galway City from today; April 1st. This is no April Fool! With 10 daily departures, 7 days a week, GoBus.ie is offering commuters from Ballina, Castlebar, Claremorris, Tuam and Galway City and the surrounding hinterland the opportunity to travel for college, work, hospital appointments, shopping or leisure. To mark the launch of the new service, GoBus.ie will have an introductory fare of just €5 for any one way trip on the route which can be paid directly to the driver. GoBus.ie will bring the same high quality Customer Experience ethos from their Galway – Dublin – Airport route to this new venture which will be serviced by the award winning Volvo 9700 coaches, complete with free WiFi and power sockets for all passengers’ convenience. “After 10 successful years of Non Stop coach transfers between Galway and Dublin, we are now delighted to expand our services with a route connecting Ballina, Mayo and Galway City and make a significant €1m investment Regionally” says Jim Burke, MD GoBus.ie, “We are thrilled to appoint Alan Fitzgerald as our Operations Manager in Ballina where we are creating 10 new jobs on this new route. Alan knows and understands the GoBus.ie ethos of delivering a punctual service which is focused on giving comfort, efficiency and value for money and more importantly he knows the Ballina and Mayo market”. Jim Burke has over 30 years’ experience in the coach transport business and he knows and understands intimately the needs of the travelling public. Flexibility, choice, personal service in addition to the utmost in safety and comfort are the company hallmarks while ensuring commuters have access to power sockets and WIFI for all mobile devices thus endeavouring to give the absolute GoBus.ie travel experience. Such commitment to service has yielded much recognition for GoBus.ie. The company’s commitment to value for money for its customers is a priority offering inexpensive fares and ultimately generating savings for the customer, in avoiding fuel costs, toll charges, and parking charges and allows relaxing and stress free travel for the leisure and business traveller alike. GoBus.ie with its head office in Galway City and coach depot at Corofin, Co Galway, is a family owned and managed business by Galway and Corofin businessman Jim Burke and his three sons, Dara, Transport Manager, Donal, Fleet Manager and Cian as Depot Supervisor. Collectively, the Burke family and their team of 60 have built up an unblemished reputation for customer service. GoBus.ie will continue to lead the way in Ireland’s transport sector as the award winning coach provider connecting the West and the Wild Atlantic Way with Dublin and International travel. The recent investment in Regional Connectivity marks the start of the second decade of GoBus.ie’s ambition to continue to connect the travelling public regionally and nationally. For further information on the new service from GoBus.ie, you can contact their offices on 091 56 46 00, visit https://www.gobus.ie/Ballina or follow GoBusGalway on Facebook and @GoBusGalway on Twitter. Welcome back to Galway Chamber’s Business of the Week series. This week, we spoke to Gordan Fahy, Managing Director of Avita Communications. Hi I am Gordan Fahy, the Managing Director of Avita Communications. 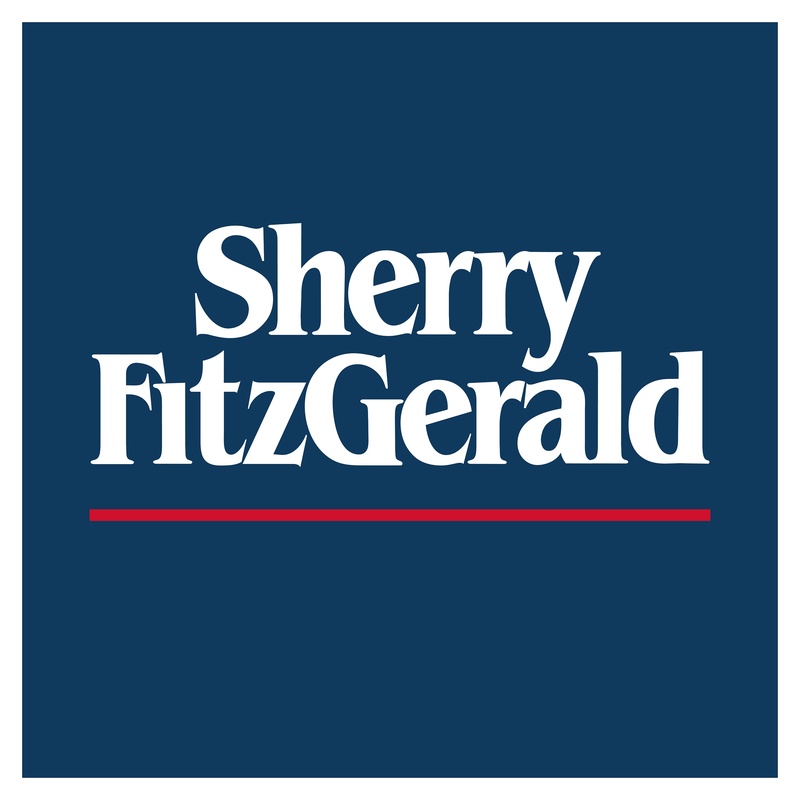 Gerry Gray and I and had worked in the telecommunications industry for 10 years under CK and it was a natural progression and evolution for us to then start our own business that included telecommunications and network products. Tell us about the range of services you offer your clients? As a communications solutions partner we provide telephony, or voice as its now considered, network, wireless LAN and a full range of services surrounding the maintenance of these products. We offer a bespoke consultancy service, were we would look at your business, look at your technology needs and requirements in order to build a solution that is future proofed and will grow with you and your business. What does Galway, as a location, offer Avita Communications? Galway is one of the central hubs in the Republic of Ireland and it is an extremely good location because we are within two to three hours of any of our customers. When it comes to hiring staff Galway’s diverse population allows us to source employee’s that meet the necessary requirements in both sales, marketing and engineering. How has being a member of Galway Chamber helped your business? Its opened us up to the local business community and allows us to meet and interface with business people throughout Galway. It’s really a door opener for us. What are the major changes you have seen within your industry in recent years? The biggest change for us is the challenge of providing infrastructure to run all of the new technologies available. So being an infrastructure company, with more and more services moving to cloud, and more services moving to app-based technologies, the infrastructure is key to helping your business run efficiently. The strength and the increasing availability and reliability of infrastructure is the biggest change our industry has seen in recent years. What is the best piece of advice you have been given, with regards to doing business? For me personally I find that people do business with other people. The products and the services must be right, but in the long term, it’s about building a relationship and working with other people and always showing respect for your other colleagues in the business industry. Applications deadline is 12PM Monday 1st of April 2019. SEAI (Sustainable Energy Authority Ireland) will be holding a *free* Energy Saving consultation breakfast on Wednesday 27th March 8.30am in the Minerva Suite, RDS as part of their Energy Show, brought to you in association with Chambers Ireland. Welcome back to Galway Chamber’s Business of the Week series. This week, we spoke to Maura Fahy, Managing Director of Fahy Travel Galway. Maura Fahy, Managing Director of Fahy Travel Galway. Tell us about Fahy Travel? Fahy Travel is an award winning travel company with its excellence recognised nationally by the Irish Travel Agents Association, the TTG trade magazine and the general public, having been twice winner of Wedding Planner of the Year in Ireland. We have recently opened a dedicated Cruise Shop in Bridge Street, Cruise Worldwide at Fahy Travel. We are founding members of the Worldchoice Group, using our combined buying power to get the best possible value for our customers here in Galway. We are fully bonded and licenced and offer the best available security and protection for our customers. We are the oldest established travel Company in the West of Ireland with a history dating back to the late 1800. We are the oldest established travel company in the West of Ireland with a history dating back to the late 1800. The family owned business started out as a shipping agency helping emigrants make their way to the US by Kate A. Fahy. The company has managed to keep abreast of the ever-changing travel market bringing the first data line to Galway from Athlone to introduce automation. Like many retailers we have competed successfully with the internet and believe that excellent customer service is the key to our growth. Tell us about the services you offer your clients? We arrange travel and holiday for a broad sector of the community. Families, honeymooners, parents visiting family abroad. We book flights, accommodation, transfers, cruises, theatre and attraction tickets. We handle group tours and pilgrimages to Lourdes, Pio. We offer excellent travel insurance cover. We have our own contracts with most elements of our business and can compete across the board on all of our product offering. What does Galway, as a location, offer your business? Galway is a thriving and vibrant city, always open to new ideas and innovations. We are operating this business from the office in Bridge Street for four generations, we couldn’t do it without the support of the local community. Are there any major trends that a currently taking over the tourism industry? We have seen an increase in River and Ocean Cruising. Long-haul holidays and destinations offering experiences; cookery, trekking, spa treatments. People are travelling further afield and looking for more interesting destinations with unusual experiences rather than the traditional summer sun. How has being a member of Galway Chamber helped Fahy Travel? I find the breakfast meetings and business after hours very good for networking and learning about different aspects of running a business. I also find it a good source of contacts when I am looking for help. Do you have one piece of advice you would give to someone getting started in your industry? You need to have a passion for travel and a commitment to excellent customer service. I don’t think people realise how interesting the job really is, as well as being challenging. It is perfect for anyone interested in travel as you do get to go on familiarisation trips with different suppliers to some amazing places. This, along with working in a fast-paced, energetic industry makes for a very enjoyable career. Chambers Ireland CSR Awards 2019 – Applications now open! During the recent Brussels working visit, Chamber Network delegates met with DG Trade, responsible for the EU’s common policy on trade, who are interested tin profiling Irish businesses in this area as case studies. Irish Chambers were invited to provide case studies of Irish businesses who have benefitted from EU Free Trade Agreements (FTAs). The European Commission wants to promote the economic benefit of these trade deals to businesses. Last week the Department of Business, Enterprise and Innovation published their ‘Quick Brexit Guide for Business’, a timely and concise resource for Irish businesses providing guidance in the areas of customs, tariffs and duties, currency and more. The Commission for Communications Regulation (ComReg) has recently made available an online outdoor mobile phone coverage map which allows consumers to check ComReg’s calculation of operators’ mobile phone coverage and signal levels at locations throughout the country. The mobile coverage map can be found on the ComReg website by clicking here. Department of Business, Enterprise & Innovation – Future Jobs Ireland 2019 now launched! Yesterday the Future Jobs Ireland programme was launched, a new skills initiative aimed at taking advantage technological change to boost productivity of businesses and enhance the skills of Irish workers. Future Jobs Ireland will focus on five pillars in the areas of enhancing innovation and technological change, improving SME productivity, enhancing skills, increasing labour force participation and transition to a low carbon economy. To download the Future Jobs Ireland 2019 policy document and other Future Jobs documents, click here. You can download your copy of the official ‘Back to Work After Cancer’ booklet by clicking here. Invitation to the EU Commission Circular Economy Mission to Singapore and Malaysia attached, which will take place on 5-12 June 2019. Registration deadline is 30 April 2019. Please also note that the registration deadline for the mission to Mexico with the EU Commission taking place on 24-25 April 2019 is 8 March. Last week’s publication of the Working Group’s Eighth Progress Update marks the last of the deadlines within the Action Plan of the Report on the Cost of Motor Insurance, which passed at the end of 2018 and, therefore, this Progress Update concentrates in particular on the status of all the recommendations from that Report. To access the Eighth Progress Update, click here. SEAI’s Energy Show on Wednesday 27 March, brought to you in association with Chambers Ireland will give you practical advice on how to save money on your energy bills. Based on experience, the average SME can reduce its energy bill by up to 30% by implementing energy efficiency measures. The Brazilian Embassy to Ireland invites you to attend its ‘Prowein Forum 2019’, an exhibition for wines from around the world, where the Brazilian Wine Institute and Brazilian member companies will be promoting signature sparkling wines for Brazil. The forum is taking place at Düsseldorf, Germany on Sunday 17 March. Please visit www.winesofbrasil.com for more information and contact if you have any queries.